"Once a Pike, Always a Pike"
The Gamma Epsilon Alumni Association is a voluntary non-profit organization whose members are alumni of the Pi Kappa Alpha International Fraternity. Our Association exists to strengthen the bonds of fellowship among the Pi Kappa Alpha community associated with Utah State University. Today, Pi Kappa Alpha as an international body totals over 250,000 alumni. The Gamma Epsilon Chapter of Pi Kappa Alpha was chartered in 1925 and has since initiated over 2,000 Pikes. The Association aims to preserve the bonds that were formed between these men so many years ago. 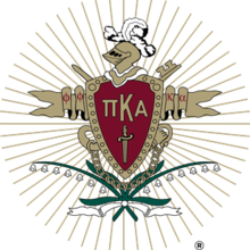 In 1915 the Pi Zeta Pi’s became interested in joining Pi Kappa Alpha when they received an invitation from the Alpha Tau Chapter of the University of Utah. Ten years later, in 1925, support rallied from various Pi Kappa Alpha Chapters in the Rocky Mountain Region and Pi Zeta Pi became Pi Kappa Alpha on 11 June 1925. The first Pi Zeta Pi member to become a member of Pi Kappa Alpha was Willard Knowles and the first Gamma Epsilon pledge initiated was David B. Haight. PIKE is the place where students become scholars, members become leaders, jocks become athletes, and most importantly, young men become gentlemen. Relationships and associations will influence what these young men become.